Government Of Pakistan To Impose 'Gunnah Tax' On Smokers Soon And Waqai Ab Toh Sutta Na Mila! Government Of Pakistan To Impose ‘Gunnah Tax’ On Smokers Soon And Waqai Ab Toh Sutta Na Mila! When the incumbent government of Pakistan Tehreek-i-Insaaf came into power, they promised an economic restructuring of the country. From the containers to the parliament, Imran Khan and his fellow members made huge claims of how Pakistan would ‘bring back money’ into the country. However, the tall claims soon blew into smithereens when the PTI took charge. As difficult as it would be for anyone, the PTI started facing problems that were severely unprecedented to them. The claims of ‘200 billion’ coming back to Pakistan the day PTI formed a government have still not been fulfilled. The increasing prices, the immense hike in products, has left the general public almost dumbfound. Yesterday, the government announced that they were going to levy another specific tax, this time on smokers. A Sin Tax or ‘Gunnah Tax’ would be imposed on smokers in Pakistan, to boost revenue, decrease cigarette sales and well, torment the smokers while they are at it. 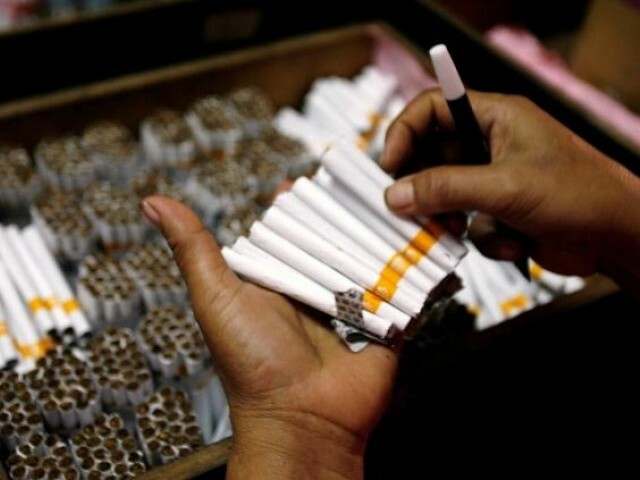 As expected, cigarette prices in the country would increase from Rs 5 to Rs 15 per pack. With the current price hike, as compared to before the PTI government, cigarette packs are already being sold for an extra Rs 10 to Rs 20, depending on the brand. Just as always, the government plans on generating revenue worth ‘millions’ with this new levied tax, as more than 4 billion cigarette packs are sold across the country every year. 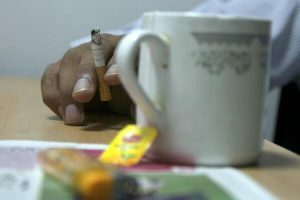 Government is imposing ‘sin tax’ on cigarettes and cold drinks. So you gotta pay a little more when you commit the sin of drinking Pepsi. 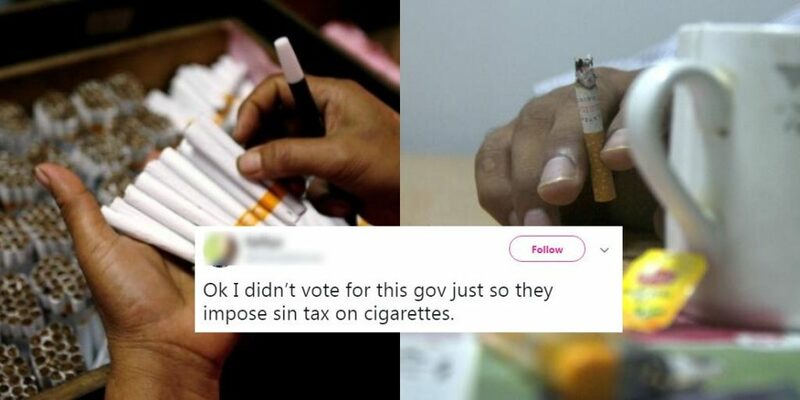 Ok I didn’t vote for this gov just so they impose sin tax on cigarettes. We think the Gunnah Tax might be a bigger achievement though! Some didn’t like the name at all, they could have called it anything, but they decided to make us feel guilty… Ouch!